Be the first to share your favorite memory, photo or story of Cherie. This memorial page is dedicated for family, friends and future generations to celebrate the life of their loved one. She was preceded in death by her father, Jewell Edward Hardee; her daughter-in-law, Melissa Scott; her grandson, Brennan Scott; her grandparents, Anna & Dee Smithee, & Edward & Dorothy Edwards; and her uncles, David & Wayne Samples. Cherie was a very nurturing caregiver where she worked with nursing home residents. She attended Sapulpa and Catoosa Schools, and church at Holy Ground Evangelistic Center. Cherie loved raising her dogs especially her chihuahuas. She loved being outdoors -- whether it was fishing, hunting, going to the lake, or working in her flower beds. In addition to her dogs, she loved all of her fish and had several aquariums. 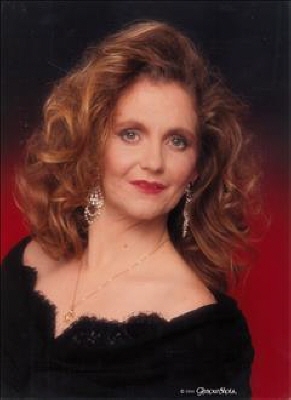 Cherie was an avid flute player with the Sapulpa Jr. High & Sr. High School Bands. She made first chair in her first year, playing left handed. She also crocheted beautifully left-handed. Cherie had a passionate love for her family and will be greatly missed. To send flowers or a remembrance gift to the family of Cherie Ann Scott, please visit our Tribute Store. "Email Address" would like to share the life celebration of Cherie Ann Scott. Click on the "link" to go to share a favorite memory or leave a condolence message for the family.